Fiabilandia is an unrivalled children’s theme park. It is an enchanted world which your children will be really enthusiastic about. 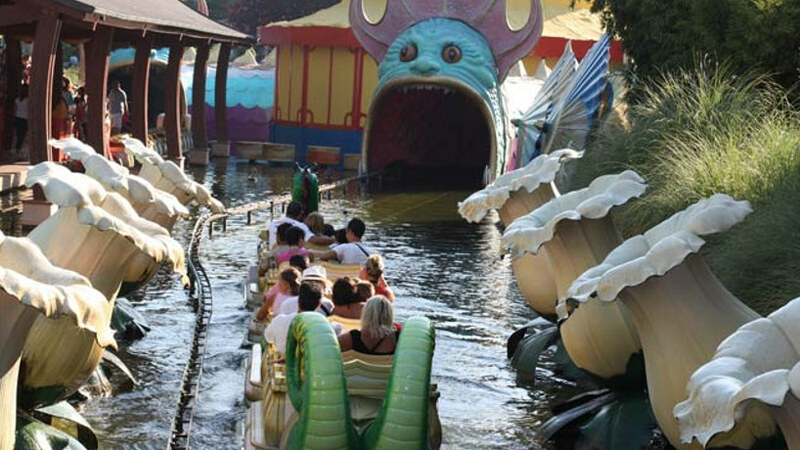 It was founded back in 1965 and has entertained many generations of children. Once you step into the fantastic green castle you will be surrounded by an enchanted fairy-tale world of dreams and children’s heroes. The park is set around the Bernardo Lake, which visitors can cross on a special boat. Other attractions include Merry go rounds, an Enchanted Town, and the Valley of the Gnomes… where you will go through giant apples on a train that is shaped like a caterpillar. Children are highly enthusiastic about this unique theme park. Evening shows are a lot of fun, too, and include a Zorro show where the masked rider fights the police with his whip, and knife throwing. The park theatre hosts shows with cartoon characters every evening, like Peter Pan for instance, during which children play an important role. Many shows featuring trained parrots will also capture the attention of the very young and older visitors alike.